Are you interested in studying indigenous issues in an international environment near the top of the world? What do Master’s students learn? The programme is designed to give students an expertise in understanding and critically analysing the situation of indigenous peoples..read more..
Are you interested in studying indigenous issues in an international environment near the top of the world? 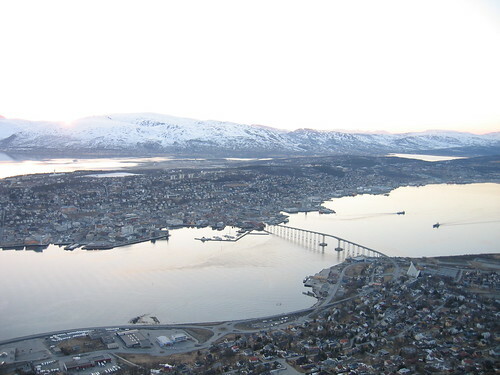 Then, Norway and the northernmost university of the world, University of Tromsø, is definitely the right place for you. Indigenous studies at the University of Tromsø offers you the opportunity to learn more about indigenous peoples around the world. Read more.. The Master program in indigenous studies provided an environment for critical thoughts and discussions regarding scientific research about and with indigenous peoples. The program set a standard for my thinking about these issues and led me to make good frieds for life. Tromsø is a vibrant city located above the Arctic Circle in northern Norway, surrounded by scenic nature. Here you will experience polar nights and the midnight sun.